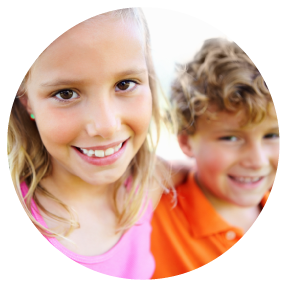 On your child’s first visit to Half Moon Dentistry for Children, the main focus will be on ensuring a positive experience for both you and your child. We will invite you and your child to take a tour of the office and introduce you both to Dr. Vertel and her staff. When you arrive at our office, please ensure you have the contact information for your child’s pediatrician, a list of any medications your child is taking, and a list of any medical concerns. In preparation for your child’s first visit, we recommend reading Show Me Your Smile! A Visit to the Dentist, a Dora Explorer book by Christine Ricci, to your child. The book’s illustrations and simple language explain a dental visit in an entertaining way that’s easy for a child to grasp. Set the stage for monitoring the growth and development of your child’s baby and permanent teeth. If your child is one-year-old or it has been six months since his or her first tooth erupted, contact us to book your child’s first visit to a pediatric dentist.